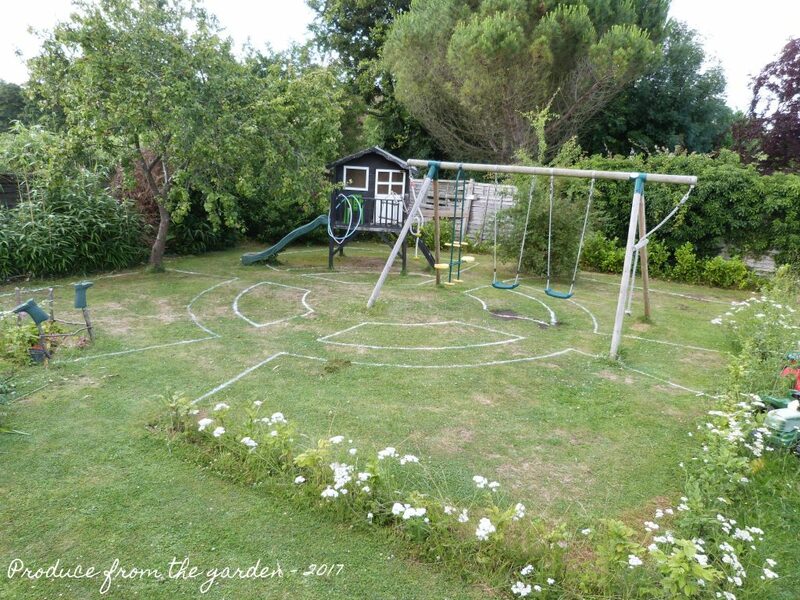 I’ve spent the day painting a garden plan on to the grass. I’m really pleased as it’s given me a temporary impression of what the garden will be like and it’s easy to make changes. The lines are also going to be a very useful guide when work I start to dig. The only fly in the ointment is that this area of garden by the side of our house in currently occupied by my boys. Last summer I gave them a five year notice of eviction, in true unscrupulous landlord style I’ve just wound on the clock a bit! Negotiations with the boys have been fruitful and the swings moving down the garden and the play house is relocating. So hopefully by next Spring we’ll have a Celtic cross like design, borders edged with bricks and gravel paths. 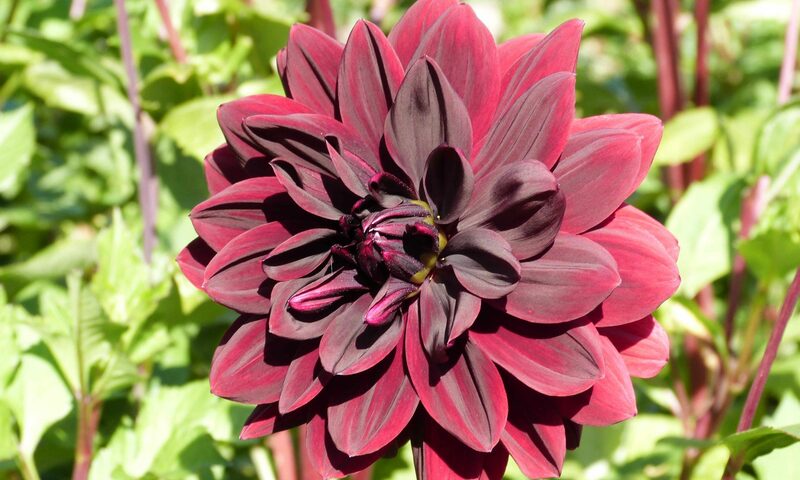 I’ll just have to decide what to plant, a dedicated dahlia garden?